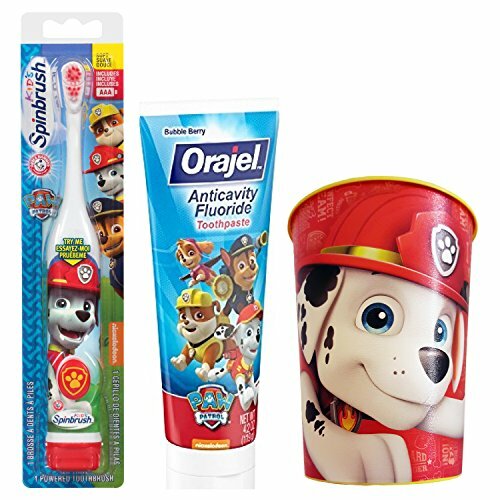 Paw Patrol Marshall Toothbrush & Toothpaste Bundle of 3 Items - (1) Spinbrush Toothbrush, (1) Orajel Bubble Berry Toothpaste, (1) Kids Character Rinse Cup. Powered Toothbrush takes AAA batteries to operate (included). If you have any questions about this product by Kids Marshall Dental Kit, contact us by completing and submitting the form below. If you are looking for a specif part number, please include it with your message.